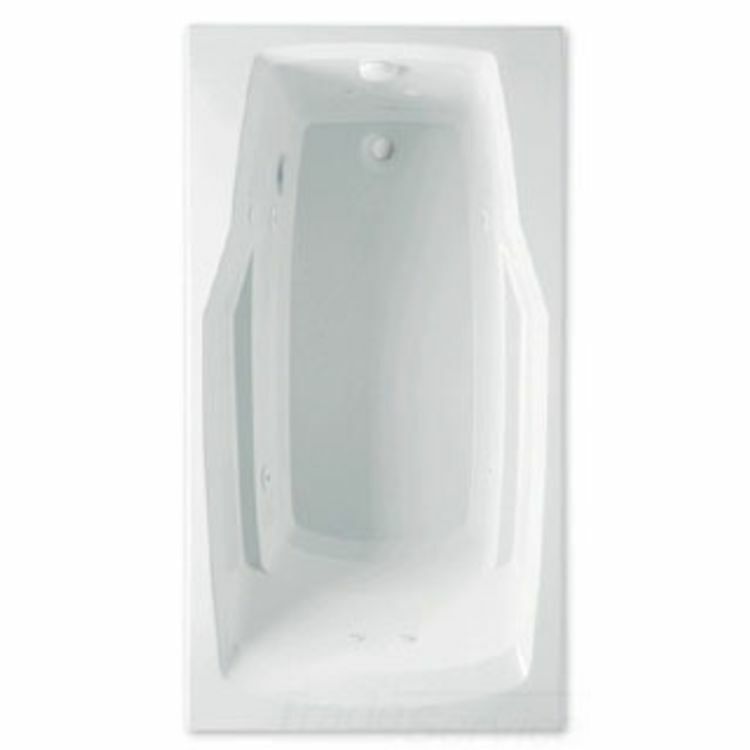 Aquatic Bath 3760621-WH White 60"x32"x21" Acrylic Whirlpool Tub. "Thinking Outside the Tub", Aquatic's motto and inspired designs set the benchmark for the industry nationwide. Aquatic has a large line of products that range from jetted bathtubs with soothing water streams to sectional showers with accessible and safe features for users. They aim to bring the best to commercial and residential application nationwide. This Aquatic Bath 3760621-WH White 60"x32"x21" Acrylic Whirlpool Tub features a brilliant white finish designed to coordinate with the rest of the bathroom fixtures. This Cast Acrylic Whirlpool Jetted Tub includes 8 high-flow directional jets designed for a soothing hydrotherapy massage feel. These jets are powered by a 3/4-HP (Horse Power) pump and an advanced safety suction system that can turned off and on with the push of a button. This System rushes delicate and oscillating waves throughout the entire tub, creating a feel that's to die for. This Tub also includes a slip resistant floor, an easy to enter and exit design for safety and a limited 10 year warranty.